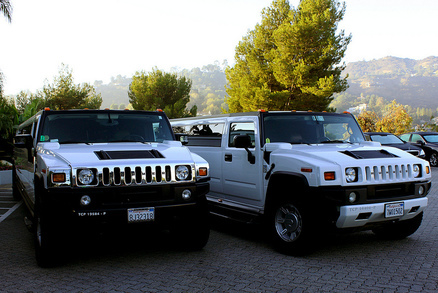 ​Call us for the Best Limo Service & Party Bus Rentals in Providence, RI! ​It's Easy, Affordable and Perfect for any Event! Prices as low as $30 per person!!! We want Providence Limousine Service to be your first choice when it comes to renting a Luxury Limousine or Party Bus in Rhode Island. We know that no matter if it’s transportation to the airport or limo service in ri for the big wedding day; you want everything to go as planned and it should. 1. We always arrive early. Have you ever needed limo service to the airport and waited, wondering if you were going to miss your flight? How about nervously wondering if the Escalade you rented for your wedding in Newport is going to hit traffic? Our chauffeurs know Rhode Island and are fully prepared with GPS for all destinations. 2. Limos and party buses are always cleaned the day of your event. Providence weather comes in many forms. We all know it can be hot one day and we wake up to snow the next morning. That’s why when you book a limo or luxury party bus, they are cleaned just a few hours before your special event. 3. Five star limousine drivers. Our Providence RI limo service drivers all have clean driving records and know Providence & Boston well. All of our vehicles are GPS equipped for those out of the way destinations. Your chauffeur will be polite and professional; it’s why he is there. To serve you. We make sure your Limo Rental will always be one to remember. 4. New vehicles. All of our stretch limos and SUVs are the new body style. When talking to other limo companies in Rhode Island, ask what year their vehicle is. You will quickly find out why you are being offered such a super duper once in a life time deal. 5. Customer is always #1. We know that the customer is always right; even when they are wrong they are right. When you rent a limo from Providence Limousine we want you to be a long term client and make us your only limousine company in Providence and the entire state of Rhode Island. We have many vehicles to choose from for any event. Elegant Escalades for your wedding. Massively Monstrous Party Buses for your bachelor party. Or always on time car service to the airport. We would love to hear from you. Give us a call today and let us know how we can help you with your limousine or party bus rental. Our Party Buses and Limo Service covers all of Rhode Island, including Warwick, Cranston, Newport, Pawtucket, East Providence and Woonsocket.